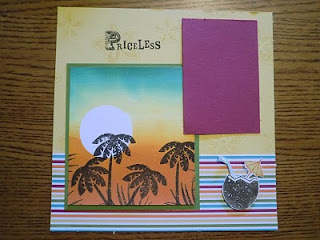 for the (heart) of stamping: Notebook Class... and more to come! It's one day before youth camp, and by now I'm usually freaking out... I happen to be doing administration, candy cabin, hostessing and worship... lots on my plate. But I have a total peace and know that God is going to do amazing things! 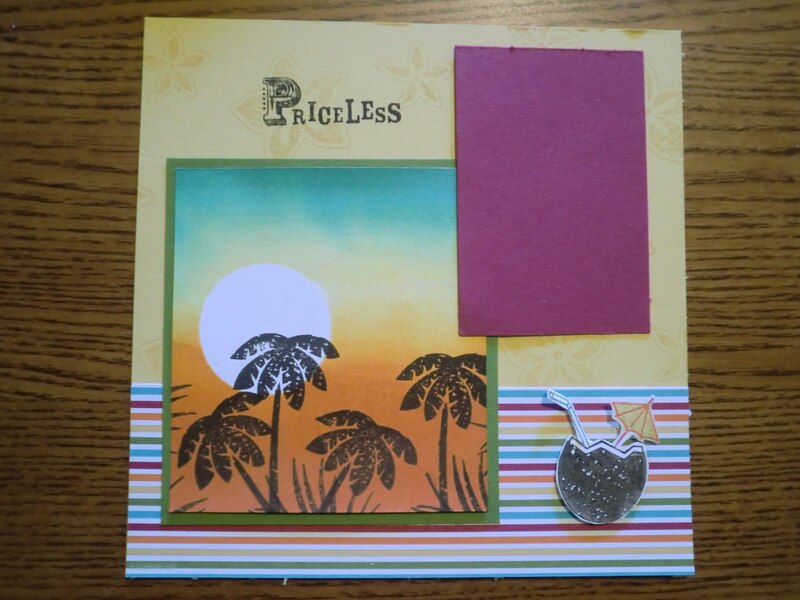 I did a 6 x6 scrapbook page with the brayer and the palm trees from the Tropical Party stamp set and matching paper... I am going to shed a few tears when this retires in a few days... it's not too late to get yours! They decided to adapt the 6 x 6 card for the notebook. Melissa and Audrey decided to adapt the club card I did for this month. We used the "Sweet Centers" set, that came back into our new catalogue. And then there was Billy. He liked a spinner card I did with the Eastern Blooms set a long time ago, so he choose that stamp set and to do a spinner. It turned out awesome! The colors are recommended by the new color coach... if you don't have one, it's amazing! This is marina mist, early espresso and wild wasabi. 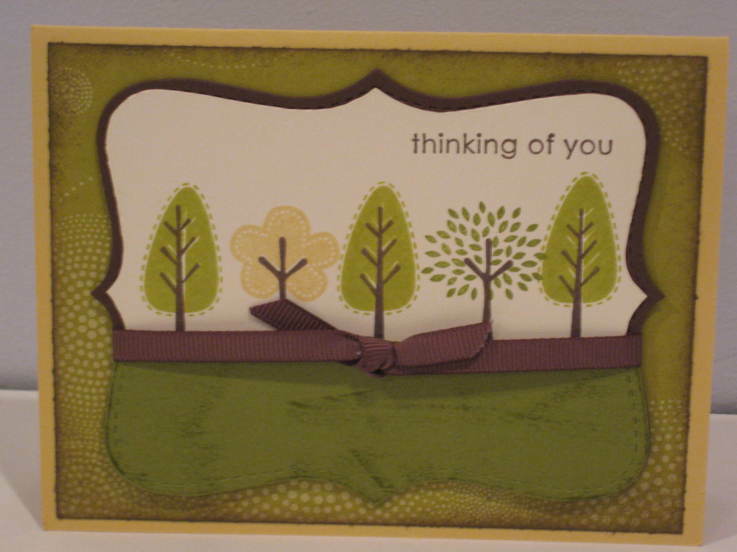 Don't forget that my Trendy Trees class is coming up on September 15th... $25, this includes the stamp set and making 5 cards with the set, or just come for $10 and make the cards. Only 3 spots left! 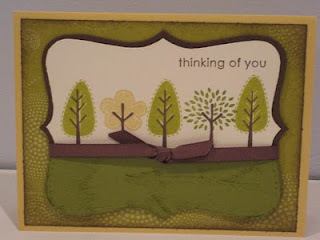 Here's a sneak preview of one of the cards we will make... perfect stamp set for the fall! Email me to get one of the last spots for this excellent class!